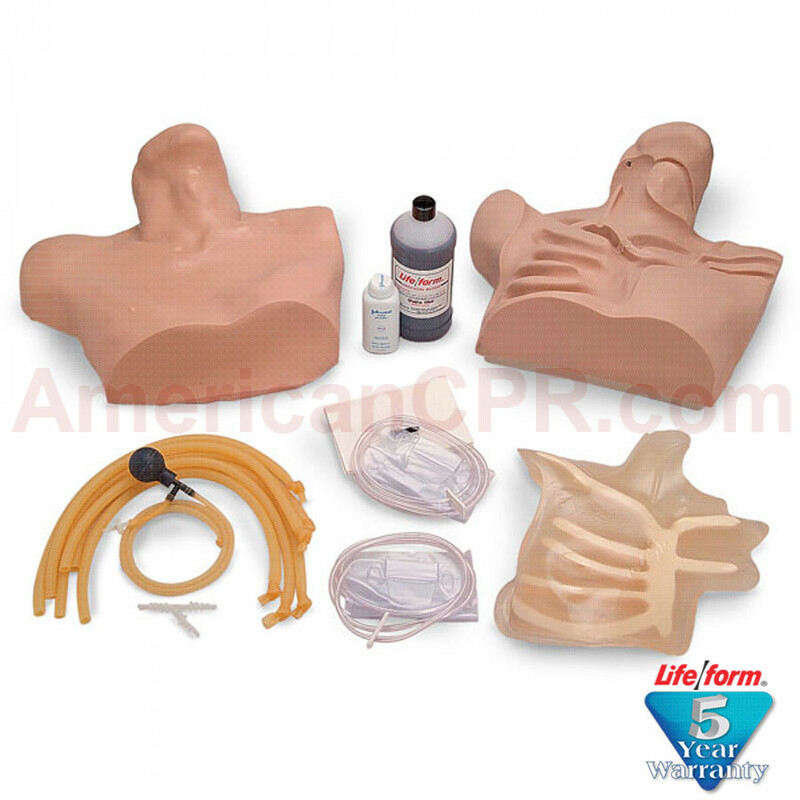 Designed for learning and practicing CVC techniques, the Life/form Central Venous Cannulation Simulator is directed to the emergency medical field. ACLS and ATLS participants will find this simulator to be the ideal trainer. Anatomically accurate, palpation is exactly the same as on a patient. The sternal notch, sternocleidomastoid, clavicle, and other supporting features make this simulator a pleasure to work with. Internal features include a replaceable muscle and bone section, subclavian, internal jugular, external jugular, and carotid. Life/form Central Venous Cannulation Simulator includes replaceable skin, tubing sealant, needles, one quart of Life/form Blood, and instruction guide in a hard storage case. One-year warranty. Central Venous Cannulation Simulator - LifeForm.